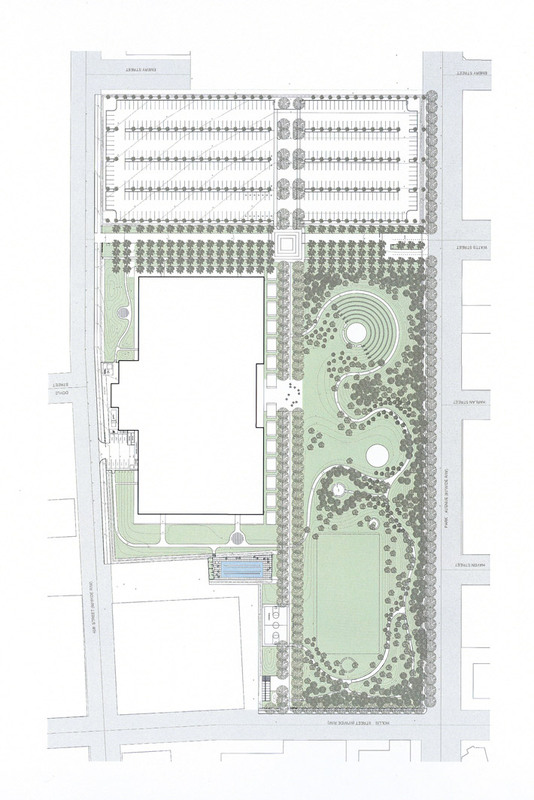 The park of this 20-acre campus site takes the form of a sculpted rolling lawn forested with a number of native and exotic species, including European beech, live oak, and cottonwood. At the pedestrian entrance a sycamore allée is bounded on one side by the park and on the other by a series of garden squares planted with roses. 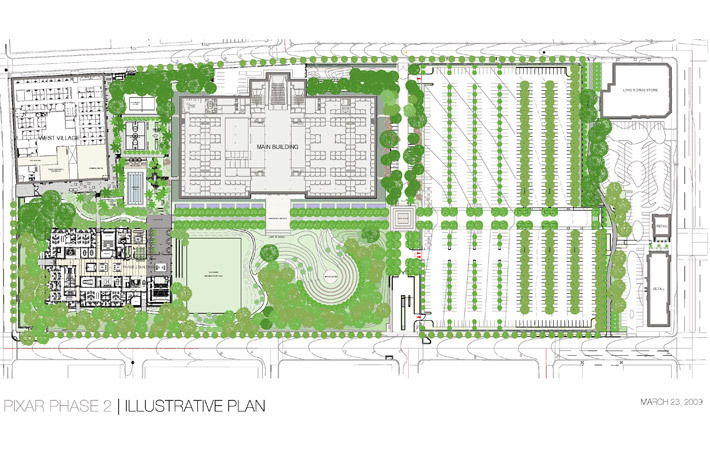 To provide the ideal workplace the park includes a basketball court, an amphitheater, benches and tables, a volleyball court, a chef’s garden, a swimming pool, and a jogging trail. The parking area is planted with rows of Italian poplar. After the addition of two buildings in 2008, PWP redesigned various areas at the back of the campus into a landscape of densely planted palm trees, live oaks, redwoods, and Japanese maples focused on the swimming pool.